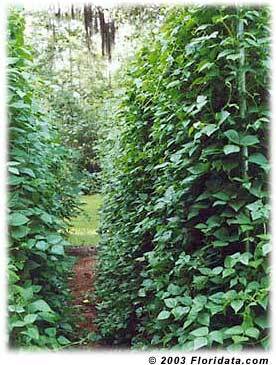 Pole Lima Beans produce higher yields and produce longer beans than bush forms. When planting the soil temperature needs to be warm (65°+ F) to ensure good germination. They suffer in arid and semi-arid areas unless you can cool the area with shade. The large seed size of Lima Beans store significant amount of carbohydrates, making them susceptible to soil fungi and bacteria. Harvest Lima Beans when pods are bright green, the seeds are full-sized and the ends of the pods will be soft. Carolina (Sieva) - white seed; 3 to 4 beans per pod. 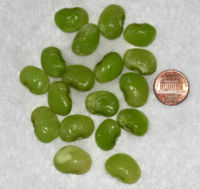 Florida Speckled Butter Bean – bean speckled with maroon; 3 to 4 small beans per pod; greenish with purple at green shell stage; bears well in hot weather; 78 days. Willowleaf - white seed; similar to Carolina, except with narrow dark green leaves.